Finding the right niche as a software engineer bodes well for your long-term career prospects. This concept truly matters when you specialize in an area where the demand is high. For example, the industry is struggling to find programmers with tangible cybersecurity experience, so the rules of supply and demand mean these tech pros simply command higher salaries. Let’s dive into the details to see how specialization might just be your ticket to prosperity as a developer. 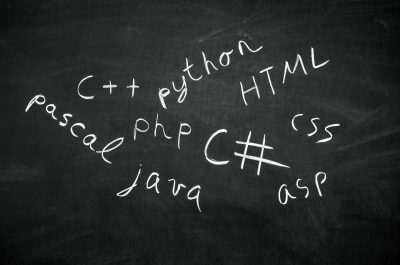 What tech skills or programming languages do businesses currently need? Maybe a change in your career path is order? According to a recent study of IT professional salaries, possessing certain tech skills on your résumé definitely boosts your pay. Experience in data science continues to be greatly in demand, with salaries for these tech pros coming in at 15 percent higher on average. Knowing a specific data science skill like Apache Spark, an open source engine used for Big Data analytics, also raises your pay rate. Businesses continue to look for software engineers possessing experience in certain programming languages. Newer languages, like Python and Scala, rank highly when it comes to employer demand. Even more traditional examples, like C, Java, C++, and C# still look good on a résumé. The bottom line involves staying abreast of the most popular programming languages and tech skills. An annual report by the IEEE Spectrum ranks languages by their popularity, so make it a point to peruse their list every year. Ultimately, you need to take charge of your career by ensuring you possess the skills employers want. At the same time, you need to understand the programming languages whose best days are long gone. Note that the demand for Visual Basic programmers able to build MDI applications on Windows XP continues to wane. Even some newer languages, like Apple’s Objective-C used to write iOS apps, are losing their buzz factor. In this case, Swift emerged as the preferred mobile development language for the iPhone and iPad. It is important to audit your skill set compared with the constantly changing tech industry. Speak with your IT recruiter to ensure your tech skills match what the modern business requires. A higher salary is likely the result. When you need advice on building a rewarding tech career, speak with the knowledgeable recruiters at The CERES Group. As one of the top technical staffing agencies in Boston, we know the companies looking for talented professionals. Explore these open positions and contact us today!